City Modern—Dwell and New York Magazine's collaborative week-long collection of talks, studio and home tours showcasing New York architecture and design—began Monday evening with the opening of Design Through the Ages. Four interior designers: Nate Berkus, Francis D'Haene, Thom Filicia, and Ghislaine Vinas each explore a distinct era of time. The designers hand-picked pieces from showrooms at the New York Design Center, who also hosts the exhibition. “If you look at the 60s it’s all about a really graphic black and white and these pops of color,” Vinas says. The 70s, curated by designer Nate Berkus. Berkus pulled together vintage pieces from 1st Dibs, wallpaper from Flavor Paper, and his own collection of accessories available at Target. The organic form of a philodendron leaf and its shadows play off of the geometric shapes and patterns of Berkus’s selections. “There is something so memorable about 70’s inspired design,” Berkus says. He balances the “metallic sheens and edginess” of an aluminum side table with a crisp, graphic carpet and the softness of fur. D’Haene sits amongst his collection of objects mirroring the “decade of decadence.” “To me, the lesson to be learned is that you should be more humble,” D’Haene says. Nevertheless, his assortment of brash designs and neon sculptures are vibrant and delightful. Close up of a “contemporary glass sculpture,” filled with candy in D’Haene’s 80s-themed office arrangement. American-made interiors and designs showcase the look of the present assembled by designer Thom Filicia. Elements of nature, organic forms, and clean colors are illustrated in Filicia’s comfortable living room setting. 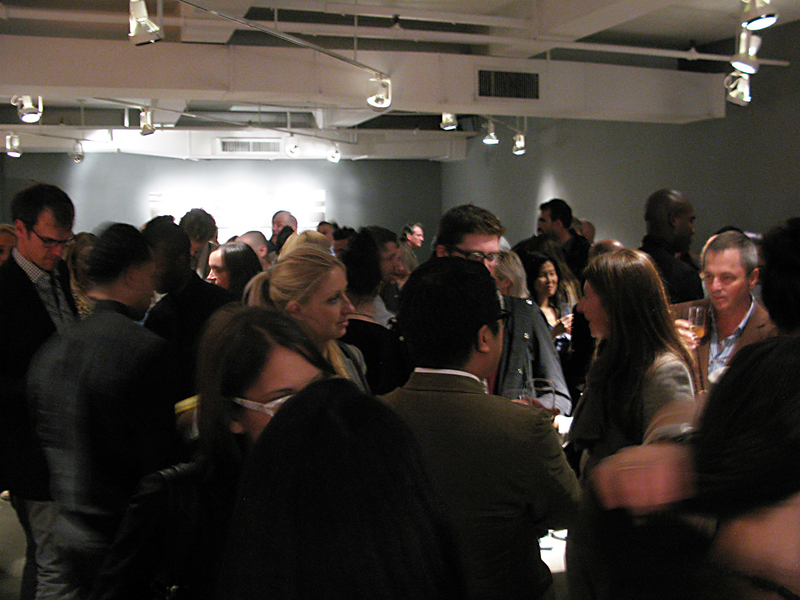 The opening night crowd at “Design Through the Ages.” Furnishings provided by Stephanie Odegard Collection, HighTower, 1stdibs, Weinberg Modern, Smith and Watson, Brueton, Giorgetti, Global Views, Arteriors Home, Dennis Miller Associates, Thom Filicia Home Collection for Safavieh, and accessories by Nate Berkus at Target. “Design Through the Ages” is on view October 2-5 from 10 a.m. to 4:00 p.m. at the New York Design Center, 200 Lexington Avenue, 15th Floor, New York, NY, and is free to the public. Design Through the Ages is on view October 2-5 from 10:00 a.m. to 4:00 p.m. at the New York Design Center, 200 Lexington Avenue, 15th Floor, New York, NY and is free to the public.